The Columbus County Transfer Station extended their operating hours after Hurricane Florence to assist residents with the disposal of large amounts of storm debris. Due to the decrease in volume at the facility, the Columbus County Transfer Station will return to normal operating hours on Thursday, October 25, 2018. The facility will be open Monday through Friday from 7:30 A.M. to 4:00 P.M. Please call 910-642-6852 for questions relating to storm debris and materials that are accepted at the facility. 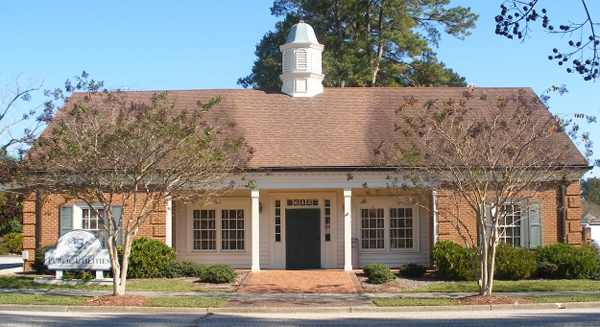 The Columbus County Solid Waste Department is located within the Columbus County Public Utilities Department, which is located at 612 North Madison Street, Whiteville, N.C. 28472. The operating hours are Monday through Friday from 8:30 A.M. to 5:00 P.M. Customers requiring assistance or requesting information regarding Solid Waste issues may contact 910-641-3953 and staff members will be happy to assist you. 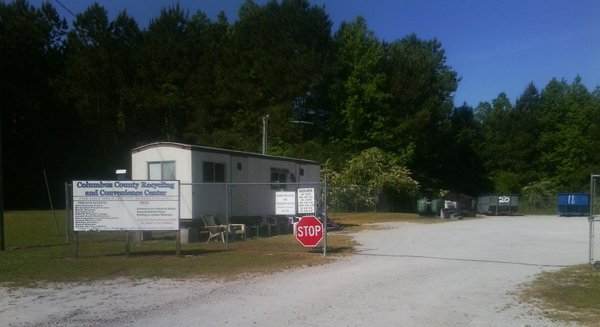 There are a total of seven (7) manned Recycling Centers throughout Columbus County. The Recycling Centers were set up to receive residential waste and to help eliminate materials from being placed into the waste stream. Columbus County encourages citizens to reduce, reuse, and recycle so that we can keep our County clean and green. 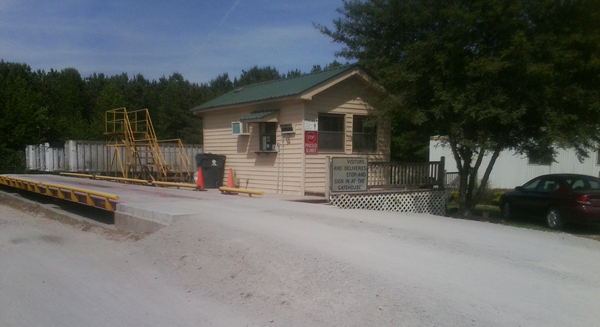 The Columbus County Transfer Station is located at 113 Landfill Road, Whiteville, N.C. 28472. The operating hours are Monday through Friday from 7:30 A.M. to 4:00 P.M. Customers requiring assistance or requesting information regarding rates and acceptable materials may contact 910-642-6852 and staff members will be happy to assist you.